The biogenic production of hydrogen sulfide is a serious problem associated with wastewater treatment. 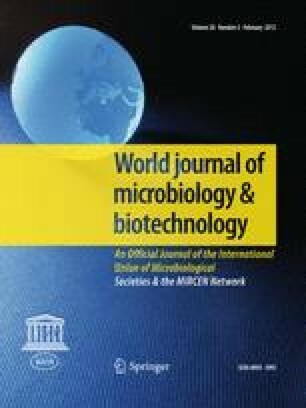 The aim of this study was to investigate the inhibitory effect of nitrate on the dynamics of sulfate-reducing bacteria (SRB) community in a laboratory-scale wastewater reactor, originating from a denitrifying plant using activated sludge. For this purpose, denaturing gradient gel electrophoresis (DGGE) analysis targeting the dsrB (dissimilatory sulfite reductase) gene was used in combination with chemical analyses and measurement of oxidation and reduction potential (ORP). The reactors were initially dosed with 1.0 and 4.0 g/L potassium nitrate and anaerobically incubated for 490 h. Addition of 4.0 g/L nitrate to the reactor was associated with a prolonged inhibition (over 300 h, i.e., 12.5 days) of sulfate reduction and this was consistent with a rapid decrease in ORP associated with nitrate depletion. The DGGE analysis revealed that nitrate addition remarkably attenuated a distinct group of dsrB related to Desulfovibrio, whereas other dsrB groups were not influenced. Furthermore, another sulfate reduction by Syntrophobacter in the later stages of the incubation period occurred in both reactors (regardless of the nitrate concentration), suggesting that different SRB groups are associated with sulfate reduction at different stages of the wastewater treatment process. We thank the staff of the wastewater facility for their help with sample collection. We also thank Dr. Ryuji Kondo, Fukui Prefectural University, for providing helpful discussions relating to the work.